I've always suffered with dry skin especially around my nose and forehead area, it's usually ok for a few hours then by the end of the day it's so dehydrated. This moisturiser works wonders!!! It has a balmy texture which at first almost feels a bit tacky but it soon sinks into the skin and I feel like it actually helps my make up last longer! By the end of day my skin still feels soft and hydrated, found my holy grail moisturiser!!! it's suitable for dry skin and strongly windy weather with a nice smell. Very rich. Keeps me moistured all day in winter. Overall I'm happy with this moisturiser, the consistency is smooth and it smells good. I have dry, sensitive skin and I find it moisturises without irritating. It is on the heavy side, and I can still feel it on the surface of my skin hours after application. I'm currently wearing it as a day moisturiser under makeup, but it may be more suitable as a night cream. ok,it smells well,but it may be only for dry face. i am combination skin .I do not think it is good for summer and oil face. I feel a little bit thick on my face. So after one week i give up and wait till winter then give another go. 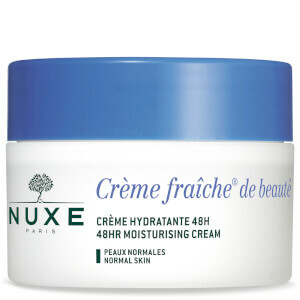 Love this nuxe cream!! My skin is very dry and sensitive and this is the best product for it! I have very sensitive, very dry skin with mild psoriasis and this Nuxe Reve De Miel is the best moisturiser I have ever tried (and I've tried lots!). 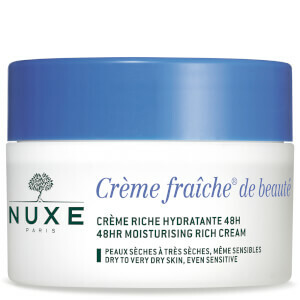 It is deeply moisturising but not at all greasy, and keeps my skin soft all day. This smells wonderful too! Just wish they would put it in a lighter jar/ tube for traveling with. Great range!